In 2009 the Jamaican government signed a bilateral agreement with Cuba to establish the Jamaica-Cuba Eye Care Programme operating from three locations in Kingston, namely the Kingston School of Nursing, National Chest Hospital and St Joseph’s Hospital. 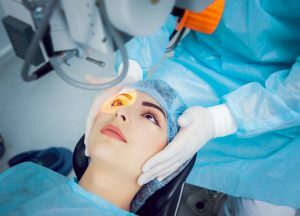 Since then thousands of patients have received eye care prior to and subsequent to surgery, along with treatment of diabetic retinopathy and anterior segment laser, in addition to cataract and pterygium. Patients also benefited from laboratory, optometry, clinical and ophthalmic services. Now a similar partnership called ‘China Bright Journey Eye Care Mission’ where an 11-member Chinese medical team will perform cataract surgeries on 500 Jamaican patients operating out of the Kingston Public Hospital (KPH), this will be the second visit Bright Journey Eye Car mission to Jamaica the first was in 2015 where 200 patients had cataract surgeries performed.